DARK NATURE—Vampires. Zombies. Ghosts. Haunted gardens. Threatening woods. Horrific bogs. Enraged typhoons. Restless moors. Gothic forms of nature are indeed numerous and disturbing. Gothic nature is usually not of a sunny or affectionate disposition. In fact, it is often a nature which inspires fear, horror, sometimes even loathing. If you have experienced terror at an advancing storm, deep aversion to a bat or spider, or abject fear as a flashlight gives out—then you’ve had what might be called an “ecogothic moment.” Fear-filled experiences of nature (ecophobias) are very much a part of being human. They are perhaps just as commonplace as biophilias: our deep loves for nature. While nature can awe, heal and give us a sense of grounding in the world, it can also terrify and alienate us. Gothic nature challenges conceptions of nature as a mere backdrop to human action. It is more of an entity. A manifestation. A presence. To paraphrase gothic novelist Angela Carter, Gothic nature can deliberately provoke “unease” in the reader. Is there a place for thinking about fear of nature? Shouldn’t we be focusing on the positive stuff? Absolutely—but facing the more fearful aspects of our relationships with nature, author Simon Estok suggests, is just as important. Ignoring or repressing our experiences of nature-fear leaves us open to manipulation of these fears. Unless we come to grips with our aversions to Nature, our “repressed” fears are likely to be directed in certain ways. Our fears, for example, can be taken advantage of by certain economic agendas, especially those which promote Nature as an opponent or something to be controlled. These uses of fear, Estok argues, are driving us into deeper ecological destruction and devastation. In coming to understand the role of terror and aversion in our attitudes toward the natural world, can we make different choices for the future? Literary scholars Andrew Smith and William Hughes have argued for the importance of a more ecologically-aware Gothic, suggesting that the EcoGothic is uniquely positioned to speak to our anxieties about climate change and the planet’s future. “In sum, animals are people, or see themselves as persons. Such a notion is virtually always associated with the idea that the manifest form of each species is a mere envelope (a ‘clothing’) which conceals an internal human form, usually only visible to the eyes of the particular species or to certain trans-specific beings such as shamans. This internal form is the ‘soul’ or ‘spirit’ of the animal: an intentionality or subjectivity formally identical to human consciousness…This notion of ‘clothing’ is one of the privileged expressions of metamorphosis….” — Eduardo Vivieros de Castro, 1998. Tom J. Hillard. “Deep into That Darkness Peering”: An Essay on Gothic Nature. Interdisciplinary Studies in Literature and Environment, 16.4, Autumn 2009:694. Simon C. Estok. “Introduction.” The Ecophobia Hypothesis, Routledge, 2018:1. Andrew Smith and William Hughes. 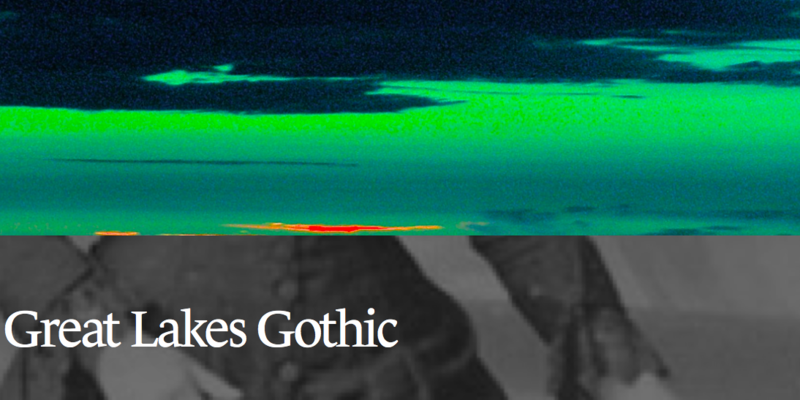 “Introduction: Defining the ecoGothic.” In Ecogothic. Andrew Smith and William Hughes, eds. Manchester University Press, 2013. Eduardo Vivieros de Castro, “Cosmological Deixis and Amerindian Perspectivism.” Journal of the Royal Anthropological Institute, 4 (3), 1998.